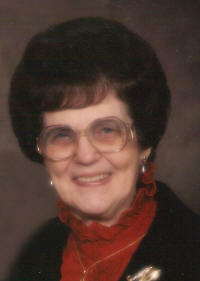 Marie M. Hemker, nee Wiese, 85 of Bartelso, died Monday, February 15, 2010 at her residence. Mrs. Hemker was born September 25, 1924 in Wheatfield Twp. to Charles and Mathilda (Steffen) Wiese; they preceded her in death. She married George Hemker on November 24, 1949 at St. Mary Catholic Church in Carlyle; he preceded her in death on February 9, 2004. Surviving are her children, Ronald (Kathy) Hemker of Andrews, IN, Charlotte (Clete) Timmermann of Beckemeyer, Dale (Marlene) Hemker of Bartelso, Gerald (Linda) Hemker of Germantown, Pat (Arnie) Steinkamp of Bartelso, and Mary Ellen (Victor) Brown of New Minden; 18 Grandchildren, Corey (Holly) Timmermann, Shanna (Eric) Deiters, Pam (Justin) Benhoff, Dustin (Ashley) Timmermann, Curt (fiancée Alicia Wuebbels) Hemker, Melanie (Brandon) Rakers, Amanda (Dan) Riddle, Kyle Hemker, Jessica (Craig) Kuhl, Jennifer (Jason) Huels, Tyler Hemker, Tracy (friend Mike Falconio) Hemker, Nathan (friend Kayla Peppenhorst) Steinkamp, Jonathan (friend Brianne Moeller) Steinkamp, Zack Steinkamp, Sam Brown, Erica Brown, and Scott Brown; 10 Great-Grandchildren, Reece and Grace Marie Deiters, Alayna and Mariah Benhoff, Riley Marie Riddle, Alyssa and Adelyn Kuhl, Trevor Huegen, Kaydence Hemker, and Baby Timmermann; and a sister-in-law, Bernadine Hemker of Bartelso. In addition to her parents and husband, she was preceded in death by brothers, Ervin, Roy, Clarence, Vernie, Leo, and Willard Wiese; sisters, Lorine Wiese, Ethel Wiese, Lavina Diekmann, Dorothy Junker, Esther Woker, and Agnes Lappe; sisters-in-law, Dorothy Wiese, Christine Wiese, and Babe Wiese; and brothers-in-law, Bernard Diekmann, Paul Junker, Edward Woker, and George Lappe. Marie was a homemaker. She was a member of St. Cecilia Church and Ladies Sodality, Clinton County Farm Bureau and The Bartelso Young at Heart Club. Funeral Mass of Christian Burial will be Thursday, February 18, 2010 at 2:00 pm at St. Cecilia Catholic Church in Bartelso with Fr. Henry Fischer and Deacon Bob Lippert officiating. Interment will follow in St. Cecilia Cemetery. Visitation will be Wednesday, February 17, 2010 from 4:00-8:00 PM and again on Thursday, February 18, 2010 from 11:00 am to 1:30 pm at the Moss Funeral Home in Germantown. Memorials can be made to St. Cecilia Church or to Hospice of Southern Illinois and will be received at the funeral home.